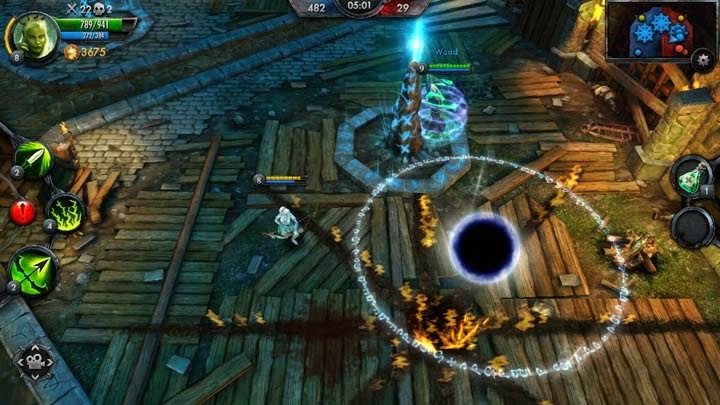 CD Projekt Red and Fuero Games have brought us an interesting game- The Witcher Battle Arena, a portable MOBA (Multiplayer Online Battle Arena) game. I got this free-to-play on my Android Note 3 and it runs decently (it's also available on iOS devices). It holds enough entertainment value for me to jump on for a couple rounds every day, but not enough to warrant much more investment yet. I bought a character and a skin, and earned all the rest of the loot through play. Due to the game being phone or tablet based, the limitations are very noticeable. It is a game that consists of capturing and holding 3 checkpoints for longer than the enemies until whoever loses the 500 points each 3 person team starts with. There aren't really large maps- of the 2 currently available one has nothing preventing open combat, and the other has small waterways that slow players down just a bit. Killing the opposing team during the point captures and controlling multiple points aids the process and speeds the countdown, but this is the bare minimum of gameplay. That is all there is to it- capture and kill. Simple. Effective. Right away, players begin with their choice of one of 3 characters (of 9 total) to play as rotating free characters that change each week. While you may play characters free right off the bat you can purchase them for either real money, or in game "crowns" that are earned in any of the game modes. You begin with 750 crowns, so you can purchase any character you want immediately. There is PVP, Co-Op team play against AI, and a Practice mode- all of them earn rewards in the form of crowns and/or loot, which can be broken down for crowns. There are many options in the shop to buy extra weapons and skins for each character as well with in app purchases or crowns. 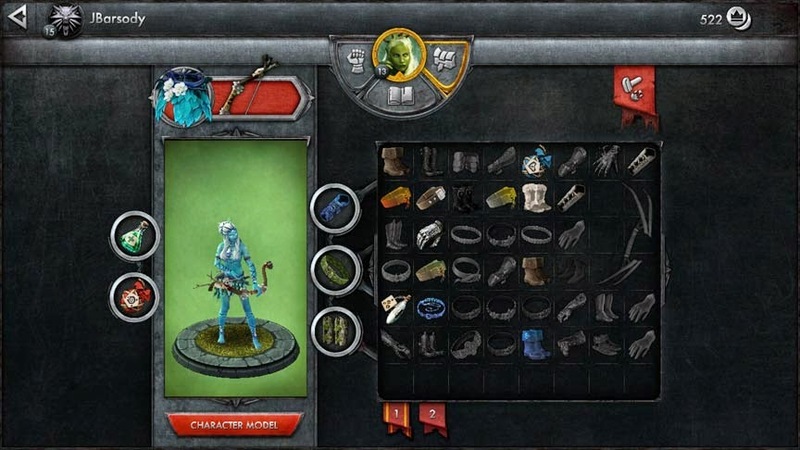 With the inventory you have loot to expand upon skills and attributes for each of your characters with 5 equipment slots. Arms, legs and torso along with two item slots for in game use, replenishable at the yellow circles on the map. Once again, simple and effective. To remedy this to a small degree there are plenty of options that expand as you level each character up. Skills can be adjusted for speed, damage, or even range extensions- all on a give and take slider- set by the player for their own play style. You can sacrifice something to gain something else. The higher the level, the higher the degree of change you can make. I found it to be very helpful in creating the character I wanted to play. 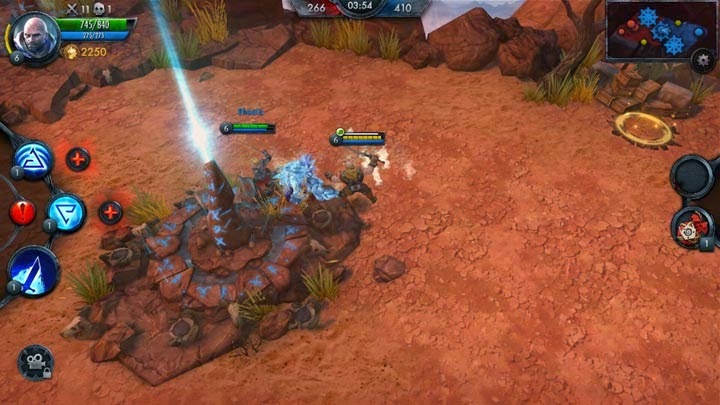 I had to make someone that could survive alone, and then worry about supporting my silent teammates. The only bonus to this is that the characters all play distinctly, they all have varying abilities and strengths which is a great thing to begin with. With a few tweaks, the balance may come and create a much more level playing field. Sadly, that's where the good ends. The controls can have a lag which will result in quick deaths or the character doing something you had no intention of doing, there's currently only 2 maps, and the load times continually take a lengthier time than they rightfully should. They should be much faster for the goal of mobile play- I've had matches that were shorter than the load times and that isn't right at all. Connectivity is often problematic, and I've been dropped from many games. I've had a few where I was frozen in place while the others could all continue freely. Not terrible, but a little irritating. There's been a couple times where I lost my best inventory items. There's also no friends list or invitation abilities, which is a huge mistake right now. Many people want to play with friends and there isn't even an option for it. Matchmaking could be a major benefit for this game- which might relieve some of the character imbalances as well. I do think with time and the promise of future expansion this game can be adjusted into something much better than it currently is- maybe bigger maps, more characters, matchmaking, or even different play modes. There's a ton of room for growth here. The Witcher Battle Arena isn't the greatest of games, but it's definitely not the worst- so I'd say check it out with the hopes it'll get better by the time The Witcher 3 hits the market, there is a lot of potential here.